Our experts have compiled an array of advice articles covering every nook and cranny of online dating. Whether it’s about finding out which dating site wins the dating battles, learning more about the tricks for crafting a profile that presents you in the best light, or choosing a special spot for a first date, we’ve got it covered. Make sure to check out our astrology guides for some help from the stars. A successful online dating experience starts with quality advice. 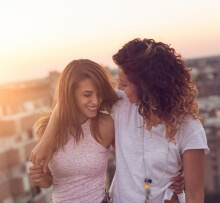 From Tinder to Bumble, and HER to OKCupid, there’s no shortage of dating sites for lesbian singles. But what if you’re looking for more than just a hookup? Here are the best sites for lesbians looking for love. Evaluating a dating site before signing up, especially if using their premium plans, is absolutely crucial to bringing you closer to finding your match. 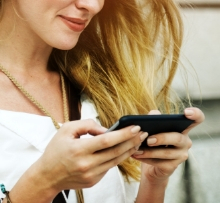 Here we compare 5 top dating sites’ premium plans to point you in the right direction. Grindr has changed the gay online dating game - but it hasn’t knocked other sites off the block entirely. Here are some of the best online dating sites for Gay singles, all of which can compete with Grindr. Sites like Zoosk, EliteSingles, Match.com, RSVP, and SilverSingles all offer the option to search for potential matches based on religion, so you’ll have no problem narrowing down your options and finding suitable Christian matches who meet your criteria. Melbourne is a city with an atmosphere. There is more to do in this thriving metropolis than any person or couple will ever manage. Try some out to impress your partner and give the perfect backdrop to any special meet. Sydney is a city full of unexpected opportunities for those looking to impress their significant other. We have compiled a list with our top ideas for every type of couple.